to make a group tour reservation. Paterson Museum – Thomas Rogers Building, 2 Market Street, Paterson – Owned and maintained by the City of Paterson, the Museum was organized in 1925. Its first exhibit, displayed in the assembly room of the Danforth Public Library, consisted of natural history objects donated by local residents. Two years later, the growing collection was moved to the adjacent carriage house of former Mayor Nathan Barnert, and within a few years, its mineral collection was one of the largest in New Jersey. The museum was relocated to the restored Thomas Rogers Locomotive Erecting Shop in 1982, giving visitors the opportunity of viewing a variety of artifacts and exhibits which help tell the industrial history of Paterson. …From its inception, the Paterson Museum has stressed the educational aspects of it’s interpretive exhibits. A major strength of the museum lies in its varied collections, including local archaeology, history, and mineralogy. Paterson has been a birthplace and springboard to many innovators and inventors. 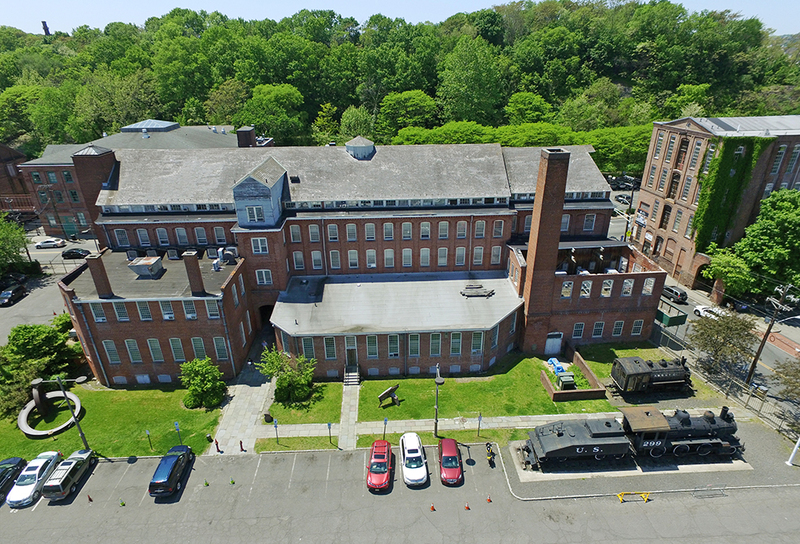 The museum relates to the history of Paterson by showing its evolution as a machinery and textile center, the “Silk City,” locomotive manufacturing, Colt arms, and the unique Holland submarines. Paterson Museum Foundation (The Foundation) during Paterson’s 225th anniversary year. The Foundation will support the growth of the museum in conjunction with the revival of the Great Falls and Hinchliffe Stadium, promote the development of its exhibits, educational programs, and special community events. Visitors will enjoy looking over the dyeing, winding, warping, weaving and Jacquard loom products that gave Paterson its worldwide reputation in silk and textiles. If your interested in our nation's industrial revolution or a 1881 submarine, Colt pistols or Lou Costello then you should visit this museum. Less than a minute to the Great Falls of Paterson and historic Hinchliffe Stadium. This is one and the only Museum in Paterson NJ lived here all my life took my children when they were little and now I'm taking my grandchildren so they can learn the heritage of the museum and look at all the beautiful things they have displayed we love it. A great insight to how textile depts. were organized , often by language spoken and how shipping companies recruited from N Italy and Germany skilled workers for the Silk City and how Haledon was founded by some of these. Paterson the first planned industrial city in the USA explained. Other industries fro locomotives to Colt revolvers exhibitions. One of the nice things about Silk city is the history behind the town. Is good to see the good side of Paterson. We LOVED this museum! It was filled to the rooftop with interesting histories and tidbits about the town and the people from it! We spent a good two hours there at least, and LOVED every minute of it! The one down side of the place, is that there's no gift/souvenir shop. Having been raised in New Jersey, my husband and I decided to go here and see what could possibly be here. To our surprise this place was a delight and it should be a great place to take the kids to learn a little bit about the area. This museum is near the Great Falls of the Passaic and has a number of great names: Colt, Holland, Costello -- and great exhibits about the history of the area. The museum has some notable old-found items. It has a range of old guns, Native American artifacts, to gem stones and old locomotives. If you have any interest in the industrial history of America, this is an essential stop, great natural beauty and great history. The museum is cool you get to see the diesel power machine like the old trains and engines from back in the days and all items are in great condition. Three floor of history, great guides, with vast knowledge of the museum. I visited here today. The parking lot was full although I was the only person there, but I parked at the Falls up the street as I was also stopping there. The museum does a good job of having exhibits highlighting the history of Paterson. It is well worth a trip.